Manila can indeed be intimidating. It is a city which is hard to fall in love with at first sight although, with such a rich history and vast territory, it is truly unfair to generalise. 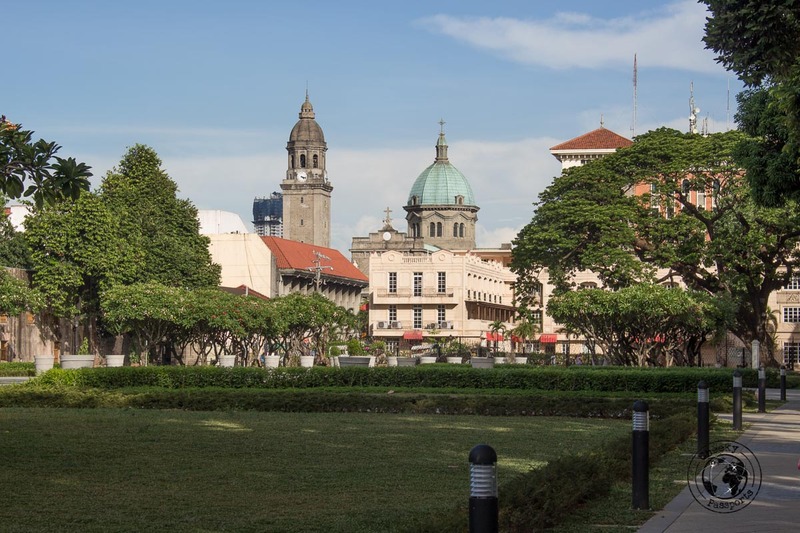 Despite the size, the historic centre is mainly concentrated on the western area, at the mouth of the river, making a walkable day tour in Manila City a very interesting option for those with only a stopover on the cards. Frequently ignored as a travel destination in its own right, by tourists visiting the Philippines who are attracted to the pristine islands rather than life in the city, Manila is often simply used as a transit city due to its widely connected international airport. The name Metro Manila is used to refer to the Metropolitan region surrounding the capital Manila City. It is an area composed of 17 cities, including the far larger Quezon city and Makati city (home to the business districts and airport). Manila City itself is again sub-divided into 16 districts, each with its own particular characteristic. Being the most densely populated city of the world, the area suffers from an inadequate infrastructure, cases of extreme poverty, horrendous traffic and a huge pollution problem, making it one of the lesser sought-after destinations as opposed to the more rural attractions which it is gateway to, namely El Nido, Coron and Banaue amongst others. Book your Bus, tickets in the Philippines online with 12Go Asia. The drive from the airport to your accommodation (which we would recommended be either in Makati or Manila centre) can by itself be an overwhelming affair, a medley of scooters, trikes, cars and pedestrians all jumbled up in no order. It’s crazy, and there is no way to sugar coat this, other than by keeping an open mind! Expect your first impressions to be, well, not too good. Despite this, Manila’s rich history, spanning over many centuries, makes it a worthwhile place to spend a day or two. 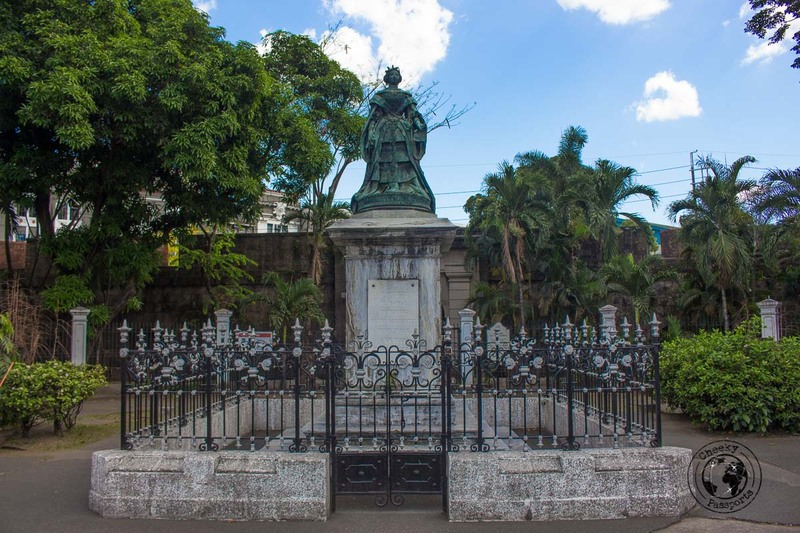 The city (like the rest of the region) has strong Christian roots, inherited from the Spanish colonial era, all reflected by the many churches and places of worship visible throughout the city. Easter festivities are huge and internal mass tourism is to be expected during this period, possibly considered to be the busiest time of year. If you happen to be in Manila during Easter time, it could be a great starting point for a very particular activity, actual Good Friday crucifixions. You can read more about the Crucifixions at San Fernanado Pampanga and how to get there. Terrain stability was not kind to Manila at all – the city suffered multiple severe earthquakes along the times. WW2 was neither, with casualties being borne, not only human but also architectural. Despite this, Manila is an urban treasure for those who enjoy architecture. The city offers a wide range of building styles, from Spanish colonial to Neo-classical, to more modern Art Deco and Stick style American, right up to more contemporary designs. Manila is also home to large residential and commercial developments, housing clusters of brand new high rise buildings and huge shopping complexes. For starters, don’t forget to put on your comfortable walking shoes and pack some water supplies (although shops are very frequent within the route). The city centre may be walkable, but it’s not a short stroll either. This day tour in Manila is about 10km long and can take more than 2.5 hrs of continuous walking. Refer to the map here. 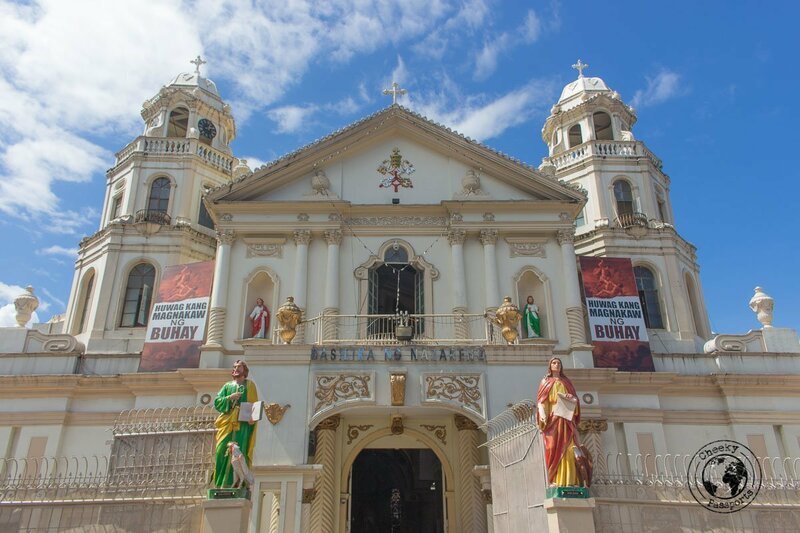 The best starting point of the day tour in Manila is the Minor Basilica of the Black Nazarene, a widely recognised landmark and also the first waypoint on our route. We found that the best way to travel around Manila is by using fixed price transportation solution apps like Grab or Uber, so make sure to download them on your smartphone first. Getting there by bus is also possible, and so is calling a normal taxi, but do be aware of scams associated with the latter! Our day tour in Manila City starts at the Minor Basilica of the Black Nazarene, in the Quiapo district. Housed in the Basilica is the ‘Black Nazarene’, a 17th century wooden statue depicting a kneeling Jesus Christ carrying the cross. What makes this statue unique is that it has been carved out of a dark wood, giving the ‘life sized’ effigy a dark skin colour, a rather uncommon feature for this kind of icon. The Basilica attracts many devotees and also doubles up as a homeless shelter by night (after which it is rigorously cleaned every morning). 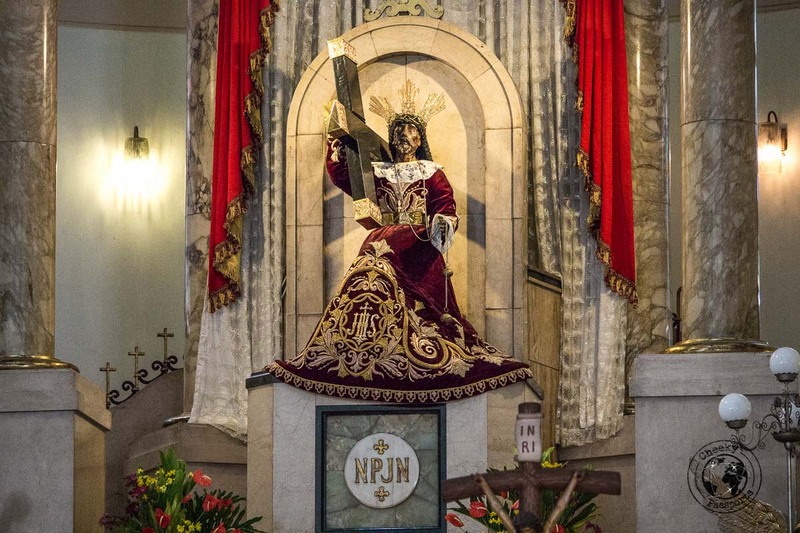 The Black Nazarene is thought to be miraculous, and together with the statue of the ‘Santo Nino’ in Cebu, is considered as the most popular symbol of devotion in the Philippines. We always promote independent travel, but if you need some help visiting the Black Nazarene, check these Viator tours. Just outside of the Basilica is Plaza Miranda, an open square which has been completely taken over by hawkers. You can try your luck consulting one of the many fortune tellers or randomly testing some of the herbal ‘potions’ on offer, a rather pagan contrast to the sanctity of the adjacent Basilica. Their stalls are further complemented by various souvenir and phone-cases stalls, the modern works of the devil we presume! On your way to the next waypoint (the Minor Basilica of Sto. 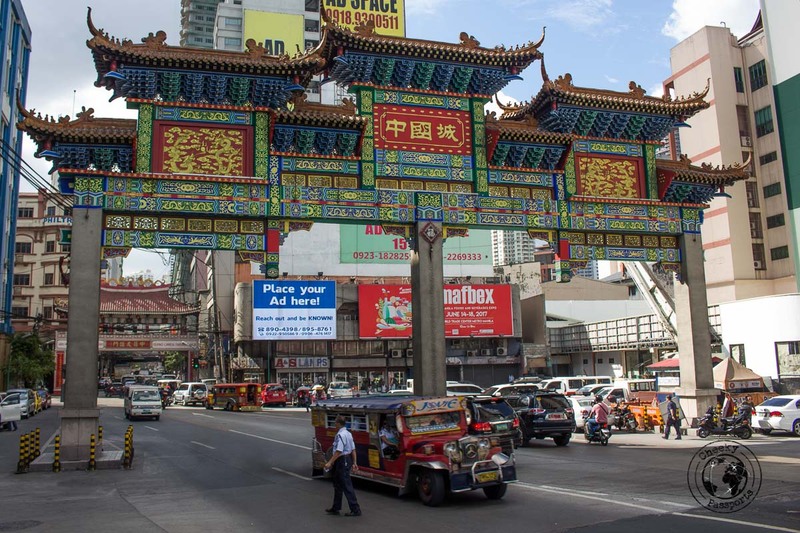 Lorenzo Ruizget) get lost in the streets of the Binondo District, commonly known as Chinatown. 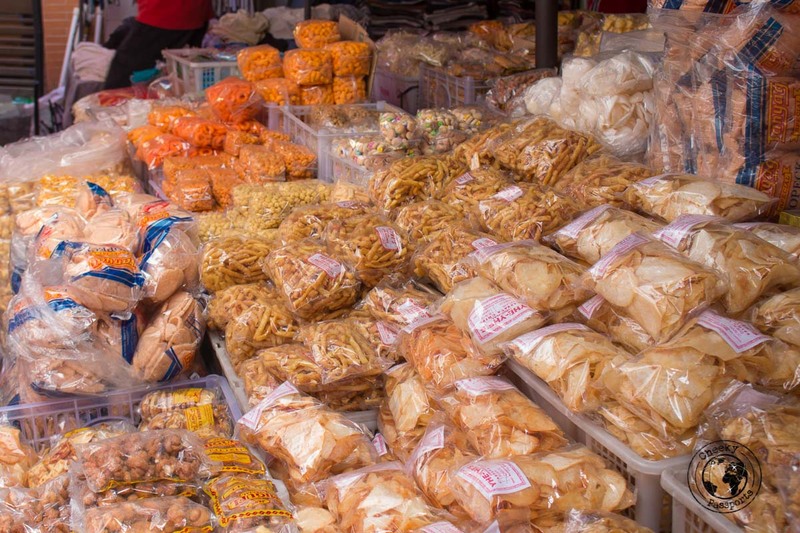 Wander through Hidalgo and Carriedo streets, the best place to buy second hand camera equipment, “original imitation wear” and to sample local street food. Mind your pockets though, as the area can be rather crowded, if not dodgy. 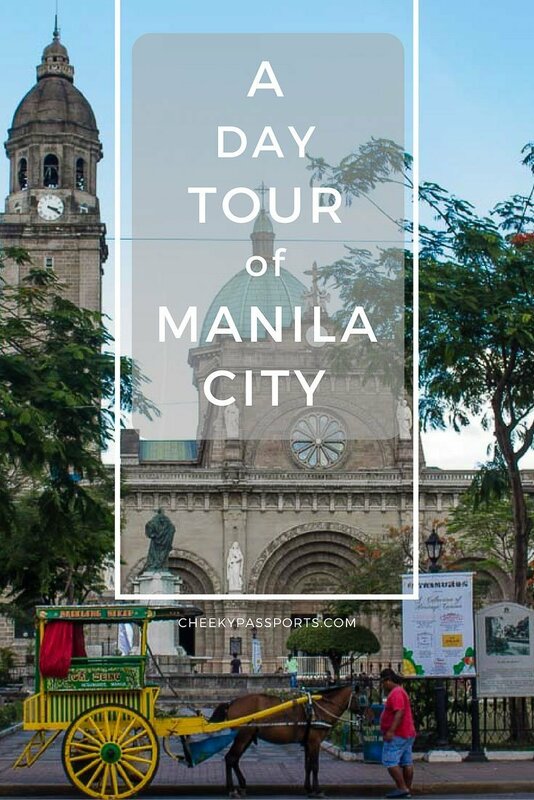 It would be a pity to have your day tour in Manila City ruined by an unpleasant event! The basilica is dedicated to Sto. Lorenzo Luis, the Philippines’ first saint. The church itself was founded in 1596 although it has been subjected to catastrophic damage on multiple occasions, namely due to earthquakes and war calamities (WW2). The bell tower is what really remains of the original structure, although the granite church has been reconstructed meticulously to its original grandeur. You can spend some time admiring the frescoes, whilst having a little rest on the cool benches – there’s still quite a bit left to the day tour in Manila City! The next stretch of the tour is mostly of interest to lovers of architecture. Move down south heading towards the bridge which connects Binando to Intramuros. 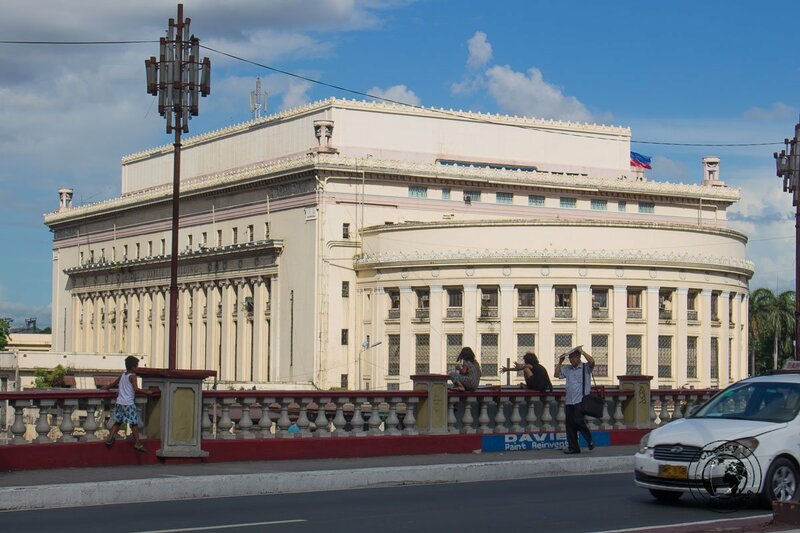 Whilst crossing over, take a look to your left to notice the imposing Postal Office building, an interesting neo-classical building constructed purposely to house the main postal activities of Manila in the early 20th century. On your right you will also get the first glimpse of Intramuros, a walled city which protected the original Spanish colony way back in the sixteenth century. But don’t rush in there yet. Before proceeding along the Northern walls of Intramuros, side step a little to take a picture of the interesting, yet abandoned Metropolitan theatre, an ‘Art Deco’ masterpiece, designed by the same architect of the Postal office a few years later. Now head back towards Intramuros, literally translated to ‘inside the walls’. The district was the stage of the last WW2 battle between the occupying Japanese Imperial Army and the joint American-Filipino resistance and, as a consequence, the city was severely destroyed. In the early 50’s, the whole area was designated as a National Historical Landmark and a commission assigned to oversee the rebuilding and preservation of the city. There are many ways to enjoy the district, especially the many upscale cafés and restaurants which have now been integrated in the area. From the bridge walk down the river bank, heading towards Fort Santiago, the next stop in our day tour in Manila City. We always promote independent travel, but if you need some help visiting Intramuros, check these Viator tours. The fort is one of the most important historical landmarks in Manila. It was strategically designed to offer protection at the intersection between the bay and the river, a main trade route back in the period. Indeed, the fort commands an enjoyable view of the river (accompanied by a not-so-enjoyable smell of the now polluted water!). On the other side of the fort, one can see remains of a perimeter moat which, at the turn of the 20th century during the American rule, was infilled and transformed into …. an oddly placed golf course! 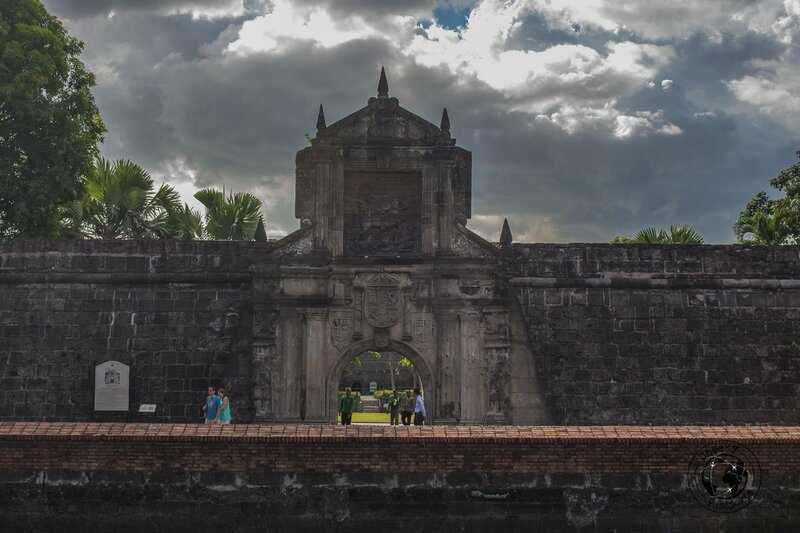 We always promote independent travel, but if you need some help visiting Fort Santiago, check these Viator tours. 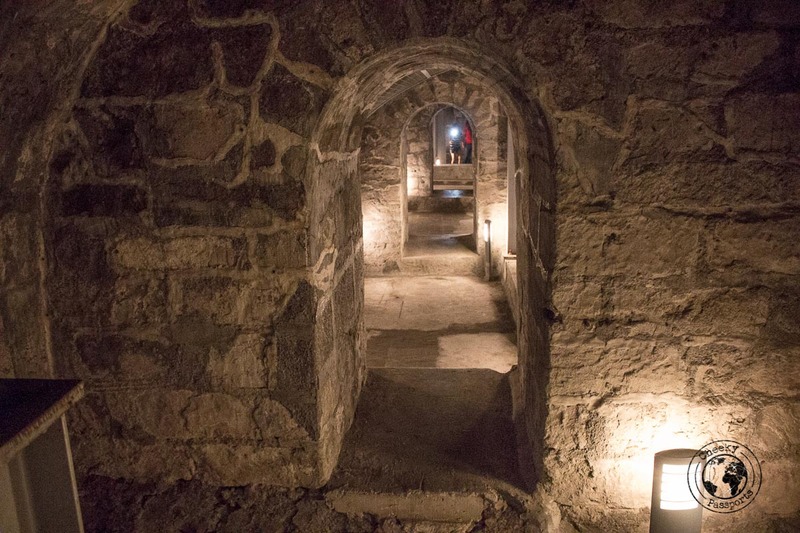 Many lives have been lost in the fort particularly during WW2 where the Japanese Imperial Army used to imprison and torture POW’s in the underground cells within it. This cells have been gracefully restored and are open to visiting tourists. The fort is also infamous for being the place where the national hero (almost demi-god), Jose Rizal, was imprisoned and later executed at the turn of the 20th century. You can see where he was imprisoned and (quite literally) follow his lasts footsteps out of the fort. Out of the fort, proceed with our day tour in Manila by heading down towards the southern gates via General Luna Street. 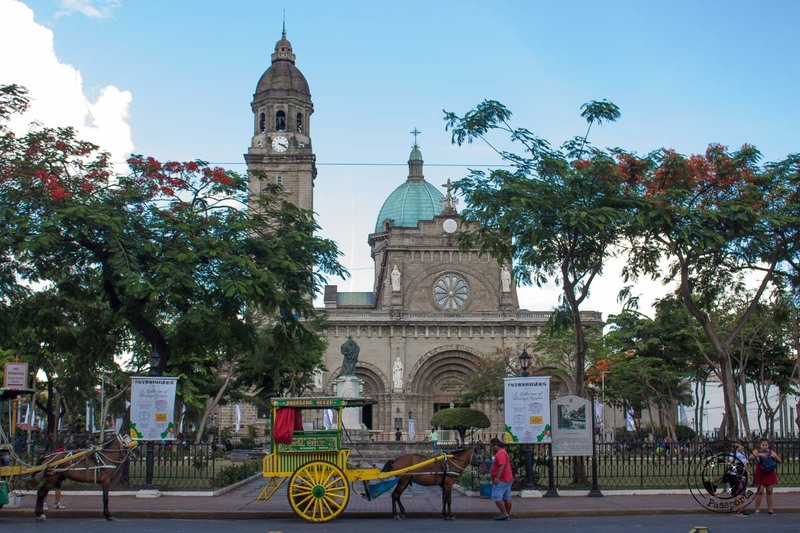 Just one block away, you can enjoy the imposing view of the Manila Cathedral. 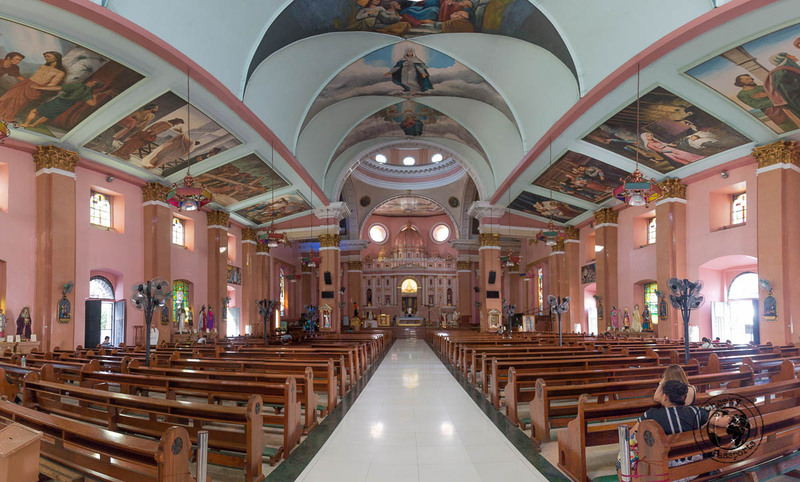 Known formally as the Minor Basilica and Metropolitan Cathedral of the Immaculate Conception, the structure has a long history of being destroyed and rebuilt following natural calamities. 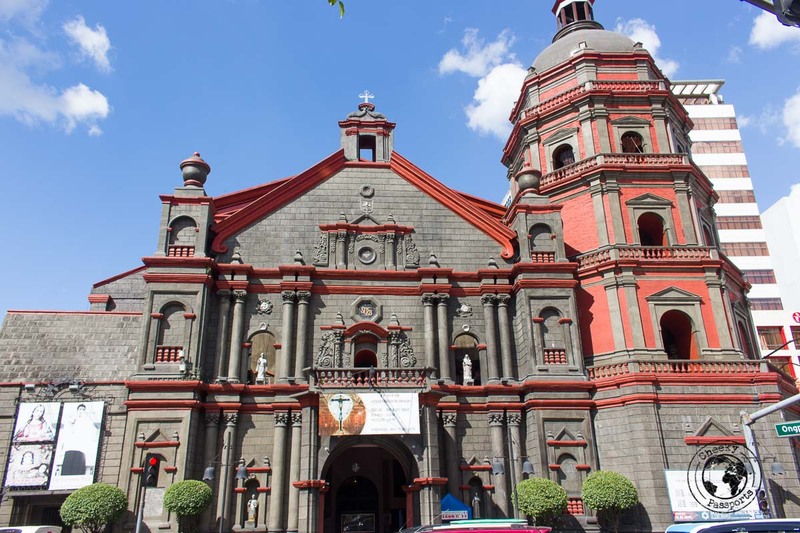 The church was severely damaged during WW2, as were most of the structures within Intramuros, but subsequently rebuilt a few years later. The belfry is also home to a carillon mechanism operating seven bells. 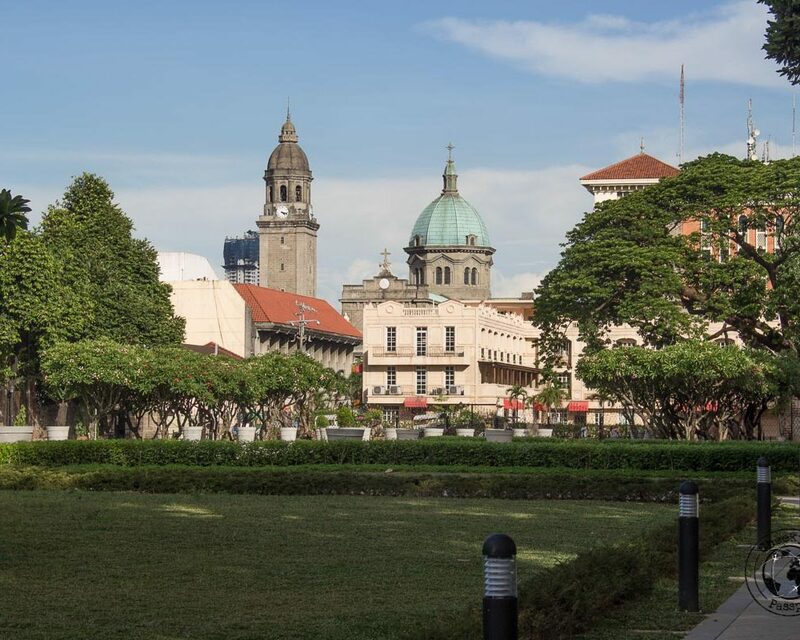 Just out of the southern Intramuros gate, turn left and head towards the National Museum of the Philippines. The institution operates numerous museums, most notably that for Fine Art, Natural history, Anthropology and a Planetarium. The displays are huge, and if you really wish to dig deeper into one of the subjects mentioned, you may want to leave it out of this day tour in Manila and dedicate more time solely to this place (possibly even a whole day)! 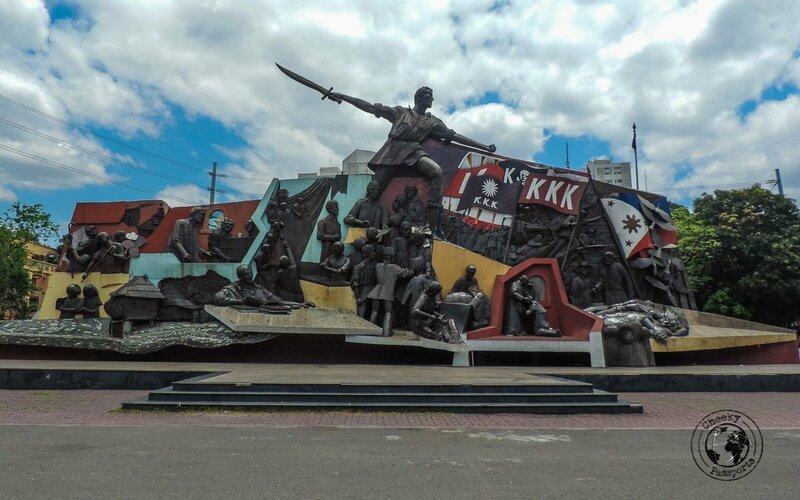 A few meters down you may also wish to see the Andres Bonifacio Mural, a shrine dedicated to the father of revolutionary Philippines. Tired yet? Last on our list of places of interest throughout the day tour in Manila, is the very relaxing Rizal Park. You can go there to enjoy the curated gardens and lakes, and laze about on the turf. 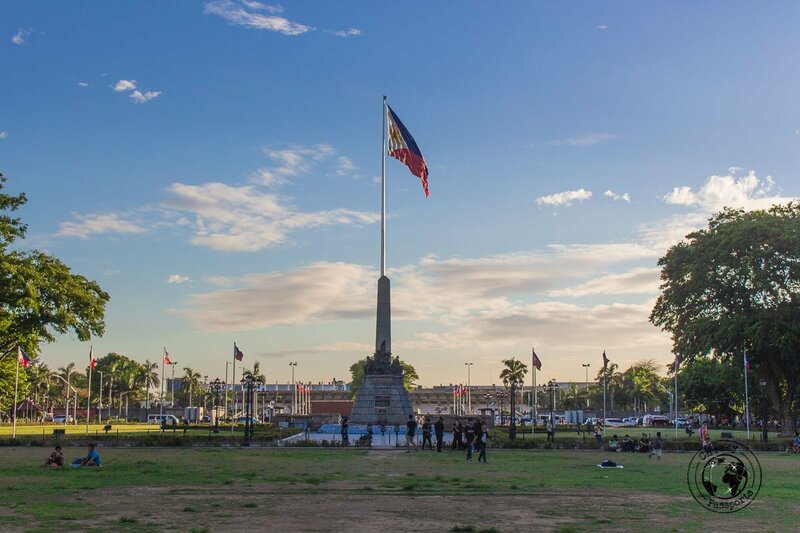 You can also take a look at the Relief Map of the Philippines, a scaled water sculpture of the topography of the Philippine territory and take a picture of the large Filipino flag whilst enjoy the changing of the guard ceremony at the foot of this memorial. We always promote independent travel, but if you need some help visiting Rizal Park, check these Viator tours. Manila city is huge and accommodation is plentiful, catering for various budget brackets. Check the latest accommodation offers on Hostelworld, Booking.com or Agoda. 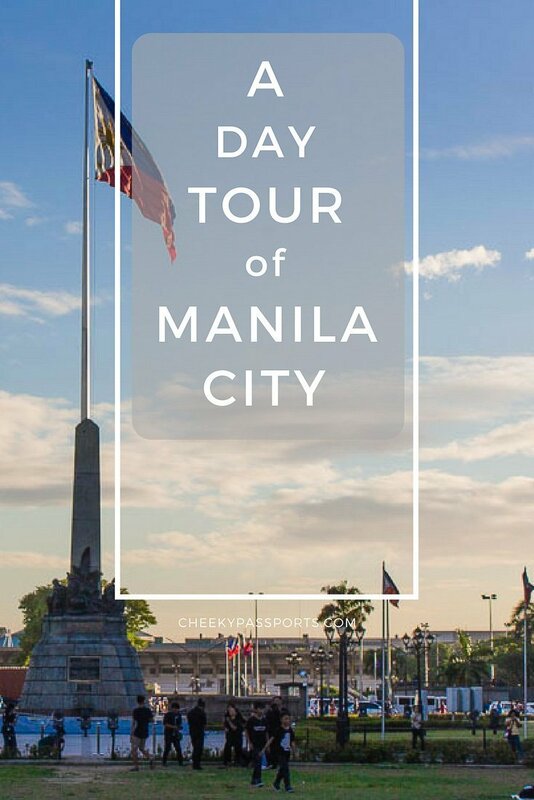 If, like us, you like to explore a city by taking a walk around its various landmarks and learning about its history, we hope that you enjoy this walkable day tour in Manila city!